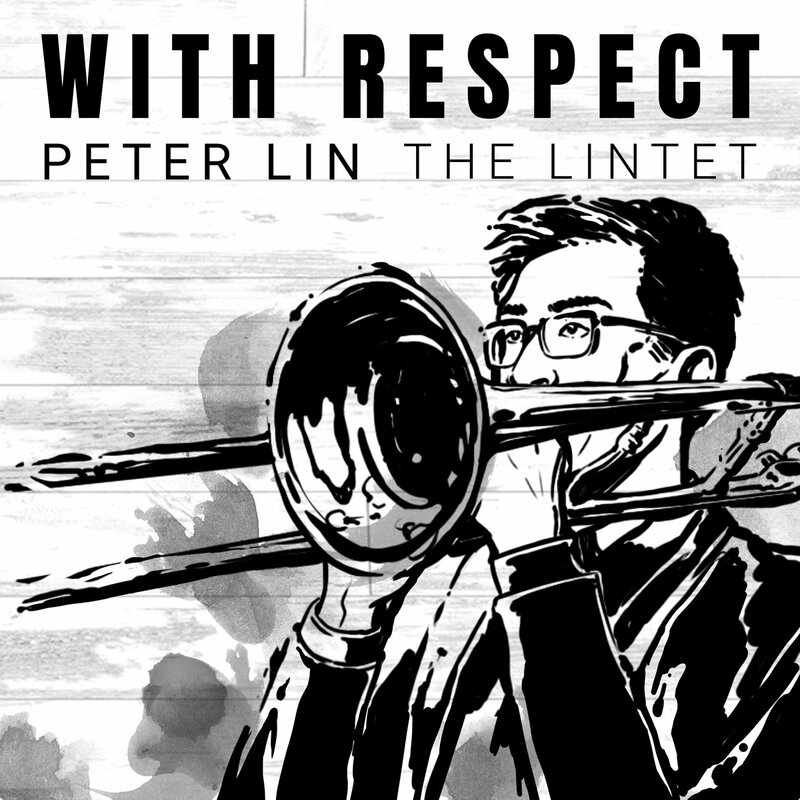 It's absolutely fitting that trombonist Peter Lin has titled his new album With Respect. Every part of it pays homage to jazz of the past, so much so that you might get tricked into thinking, once again, that this is a recording from the late '50s or early '60s. From the first song, "Forgotten Times," there's that close and intimate feel so germane to those Golden Era sessions, a sense that there's no fancy filler, only the flesh and bones of jazz. After cruising through this relatively brief outing, just seven tracks in just under a half an hour, you might not even notice what's so special about this album. Other than fellow trombonist Slide Hampton's "My Blues," this album is filled with jazz interpretations of popular songs from Taiwan and China. Lin was born in Baton Rouge and graduated with an MM in Jazz Trombone Studies at Rutgers University. He's faculty at Jazz House Kids, a music school in New Jersey. He's also Slide Hampton's manager. He sounds like an average American kid who grew up loving jazz and decided he needed to be part of the excitement that life provides--which he is, obviously. His heritage is Taiwanese, however, and he has worked with the Taiwanese-American community for much of his life. It's only fitting that this is the young man who can make these songs from halfway around the world sound so distinctly American, so perfectly fitted to classic jazz idioms. Lin isn't quite a "kid," since he's been a composer, arranger and band leader for many years. He doesn't play like a kid, either, since his trombone has that same forward sound that evokes beyond be-bop, stopping just short of Dixieland cadences. (This is most obvious with the New Orleans feel of "Rose, Rose, I Love You," even though the Chinese origins of the melody are more present here than anywhere else on the album.) There's a jovial brashness here, an inner light to his playing that suggests he's in love with this music, and while he seems to be a perfectly serious and thoughtful performer you can't help but imagine the smile on his face as he's playing. He's surrounded by The Lintet, a seemingly revolving line-up of musicians that includes sax and flute player Anthony Nelson Jr., sax players Benjamin Kovacs and Anthony Ware, trumpeter James Zollar, guitarist Charlie Sigler, pianist Oscar Williams II, bassist Ben Rubens and drummers Winard Harper and Nick Cacioppo. Despite all this talent on stage, the overall sound is never busy--it's always light and spare. 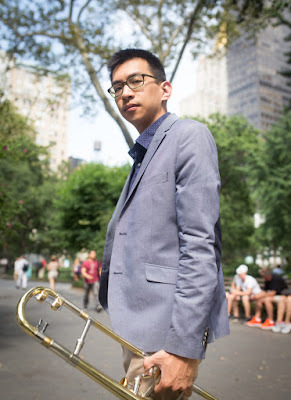 That allows the Asian themes to bloom into genuine jazz without feeling forced or disjointed. While With Respect can be enjoyed simply as a jazz album, one can only imagine how these arrangements compare to the originals, and how impressive Lin's talents truly are. I might have to give that a try!